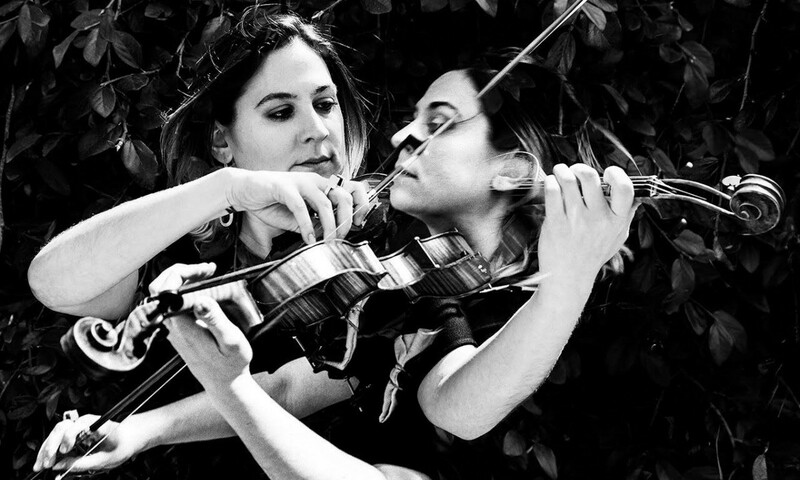 If you’re a fan of Arcade Fire, Grizzly Bear or the Dirty Projectors, you’re likely a fan of Nadia Sirota, a Juilliard-educated violist who has worked with all those artists, as well as The National, Sufjan Stevens and Paul Simon. Today, Sirota premieres her album/film, Tessellatum, exclusively with TIDAL. “An esoteric exploration of the idea of man vs. nature,” according to a release, the album features layers upon layers of gorgeous viola accompanied by a barrage of geometric creatures and patterns. The album/film is a collaboration with composer Donnacha Dennehy and animator Steven Mertens (Dan Auerbach, Regina Spektor), and is just the latest in a string of projects Sirota has undertaken in order to foster a new generation of classical music fans. She has her own podcast, Meet the Composer, and recently filmed an episode of classical music soap opera/comedy Mozart in the Jungle. Liam Byrne and I recorded Donnacha Dennehy’s piece Tessellatum over two manic weeks in Reykjavik, Iceland. Often, Donnacha would write all morning and we’d head to the studio mid-afternoon, building up the piece’s fifteen voices layer by layer, on my viola and Liam’s viola da gamba. I was smitten with Tessellatum’s sound world immediately, but when we finally finished recording and listened to what we had made, I absolutely fell in love. The piece is unlike anything I’ve heard before, playing with different systems of tuning and perplexing sonorities, built into an elegant and intense thirty-eight-minute exhalation. For this album I commissioned the animator Steven Mertens to create an accompanying work of visual art. Using the piece’s elegant architecture as a jumping-off point, Steven spun out his ideas into fascinating universes of shape and color. I have long been a fan of his work, but this film completely bowled me over. The two works of art work together and enhance each other, forming a completely cohesive and transportive whole. I hope that you enjoy experiencing Tessellatum as much we enjoyed creating it.